The Wheatsheaf is behind No. 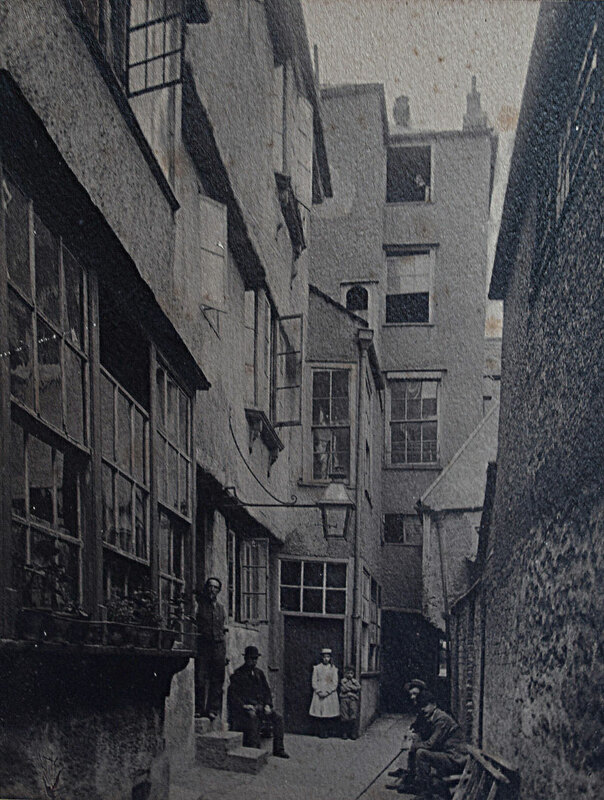 129 High Street in the Wheatsheaf Yard, and is reached by the narrow passage between Nos. 127 and 129. 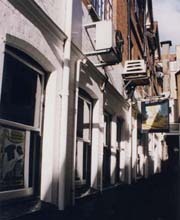 It used to be a Morrell’s pub, but is now owned by the Whitbread Brewery. It is sometimes numbered 127½, and sometimes 129A. It was in the parish of All Saints until that church was deconsecrated in 1971. It was rebuilt in 1897 at the same time as Nos. 127 and 128 High Street. This building is first recorded as an inn in 1662, when it was called the Hen & Chicken. It was not known as the Wheatsheaf until 1761. At the time of the 1851 census it was occupied by Thomas Wright (38) and his wife Sarah (36) and their four young children, their 13-year-old niece who worked as a barmaid, and a servant. By 1861 Sarah Wright (47) had been widowed and was herself the publican: she lived here with her five children and a general servant.